Pokémon's latest expansion set, Dragon Majesty is now here and on shelves! Officially releasing on September 7th, this limited edition expansion set, is the second special release within the Sun & Moon era, preceded by the Shining Legends set, which was a massive success among both collectors and players. 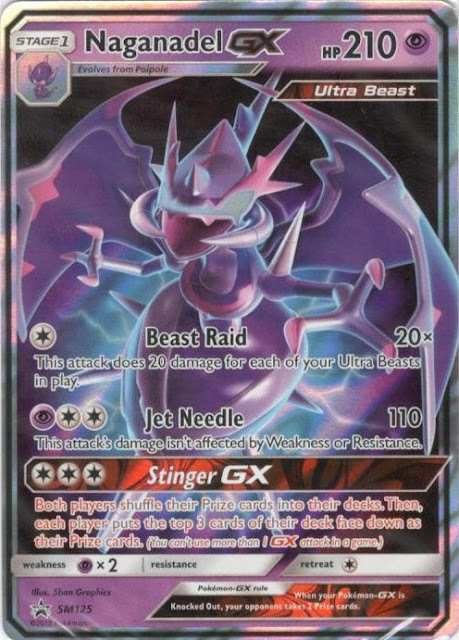 Although it did hit the shelves officially on September 7th via, the Latios and Latias pin collection boxes, it has yet to make any major splashes on the Pokemon TCG scene. The reason for this, is that these pin boxes are typically only purchased in a small quantity, thus limiting the amount of singles that have yet to hit the market, as individual collectors typically are only opening 3-6 packs at a time and single seller's of the Pokemon TCG will not open such a product in too great of a quantity. Well, this is all about to change, as September 21st is the official launch date for the Dragon Majesty Elite Trainer Box and we are itching to rip open the packaging! This is sure to shake up the scene for both competitive players and collectors alike, as the elite trainer box, is the staple product for any Pokemon TCG expansion set, as these products are not sold in a traditional manner, since they are not available in booster box form. This means, that prior to today, chase cards within this set, have held a stunningly high prices, due to the limited quantity on the market. This also means, that the value currently held within the Dragon Majesty set, still remains exceptionally high in the short to near term future, as collectors race to complete their "master sets" of this latest expansion set, purchasing any and all chase cards that hit the market, at a feverish pace. Fortunately, today is the first real day that many collectors will be getting their hands on the new Dragon Majesty expansion set and tearing open those booster packs in real quantity, as the elite trainer boxes begin to make their way off the shelves and into the hands of collectors. As today is an important day in the release cycle of the Dragon Majesty set, I believe it is important to take a moment and delve into this flagship product within the set, exploring just what exactly you are getting within the Dragon Majesty elite trainer box. As can be seen from the above image, the Dragon Majesty Elite Trainer Box contains a plethora of valuable goods to both new players and veterans of the hobby alike. Each box is packed with value, as you will receive two more extra booster packs than the standard elite trainer box, which contains typically eight booster packs. The Dragon Majesty expansion set, contains ten, giving you more bang for your buck. A 45 card energy pack, to help you build your latest Dragon Majesty themed deck. An official Dragon Majesty player's guide, which also includes a set checklist, showcasing each and every card within the set. An official set of Dragon Majesty limited edition dice. Official GX, poison and burn markers. Naganadel themed deck dividers and protective card sleeves. A Dragon Majesty elite trainer box to store and protect your cards. An online code, for Pokemon TCGO, unlocking your Dragon Majesty elite trainer deck box and card sleeves. And finally, an exclusive Black Star promo, featuring Naganadel GX SM125! Although all of these items are amazing in their own right, the last item mentioned within the Dragon Majesty Elite Trainer Box bears special mention. Unlike Elite Trainer Boxes from standard sets, the Dragon Majesty elite trainer box will come with one exclusive card from the Sun & Moon Black Star promo set, Naganadel GX SM125! This amazing looking card will make a great addition to any collection and is a reprint from the Sun & Moon Forbidden Light set, but features unique new art. The new Dragon Majesty elite trainer box is about to push this set into the limelight, as collectors and players both begin to rip open packs, hoping to craft new, unique decks and add to their existing collections. It has a tremendous amount of value and enjoyment to offer and we have only just begun to crack the surface of what the Dragon Majesty set has to offer! In an upcoming post, we'll delve deeper into the set, showcasing and highlighting some of the most valuable and sought after cards contained within, so stay tuned and get cracking. Those packs aren't going to open themselves! Love these types of blog posts. I’m a new player and had no idea what exactly was in this product. This piece was a huge help!